I can pick these up for around £9 on eBay, but will these be copies. Are there any other places that anyone would recommend? Andy, the genuine OE set is over £40 from MB - of course, these are copies! Capra they wont be genuine but i have a set on my car that have been on 2 years with no problems , just male sure they will fit your wheels first . Thanks, I had no idea! I'm not paying the MB price anyway. The black would look nice against my paintwork. Probably towards the end of the year/next year I will be getting my wheels refurbished, once these are fitted, can they be removed, or do the clips break? At that price I could just replace them! They can be [carefully] removed, once the wheels are off. Even the OEM ones don’t last! Annoyingly on the AMG ones I bought last July , one has delaminated (after my session on the Dyno at MSL), NS rear- all the others are fine! Sadly the supplier- Mercedescentrecaps.co.uk seem to have disappeared when I try to google them- maybe they’ve gone completely ebay I’ll have to check. On these you either have to take the wheel off and push out from behind or ram a screwdriver through them and pull off if you’re scrapping them. Another method i’ve Been told but havent tried myself yet is to use a piece of very stick duck tape in a loop and use that to pull them off. 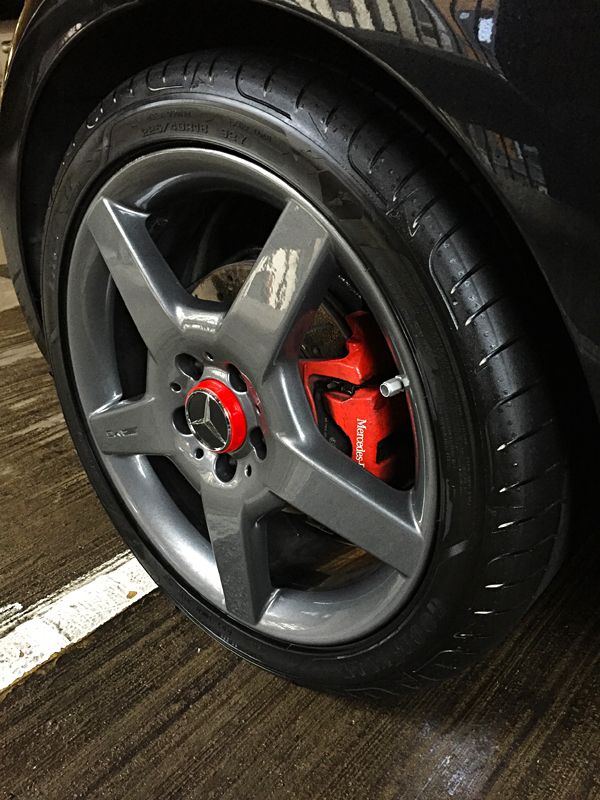 As GLK mentions I think that might work in the warm weather when the lugs are soft. Wouldn’t try it in the winter though! Mine are only 5 years old and they are terrible, I think the car was parked in a lake for years. I'm happy to replace the caps once a year if needed. A good quality EdOne caps are more resilient though - there are some 'copies of the copies' out there too, and not as good. GLK and AJD like this. The OEM Edition One from Mercedes are £80! Just found what looks like very similar AMG ones to my originals on Amazon £22.99 for 4 so ordered - 1 to use and 3 x spares... happy days, I will let you know the quality upon receipt. Will also use the Duck tape method and see how it goes as I’ve recently already done my wheels off clean and I can’t be bothered jacking the car up again!